Persistent price appreciation has created significant embedded gains for many owners. Yet optimizing after-tax proceeds is not always straightforward due to the substantial transaction costs typically associated with these less liquid holdings. 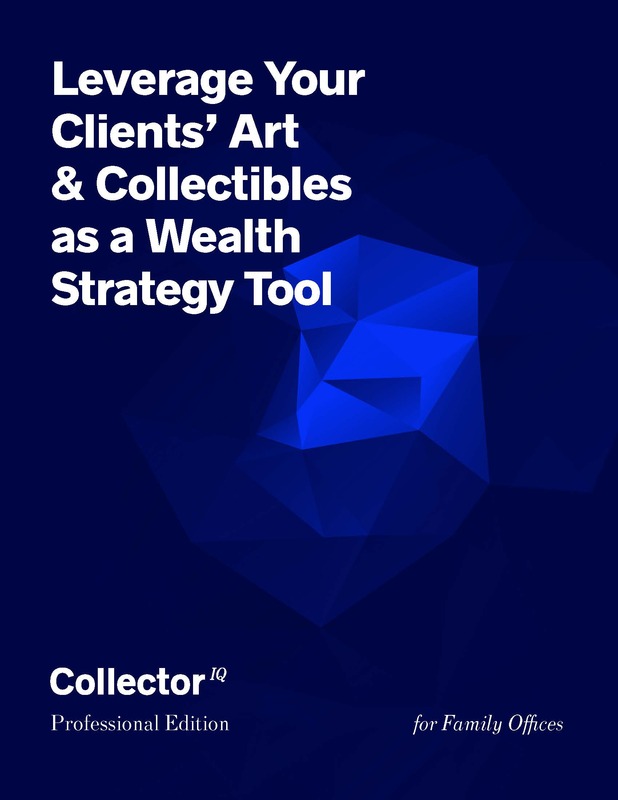 Learn about the toolkit you need to engage with clients around this category of holdings not generally incorporated into tax/estate/allocation and philanthropic planning. 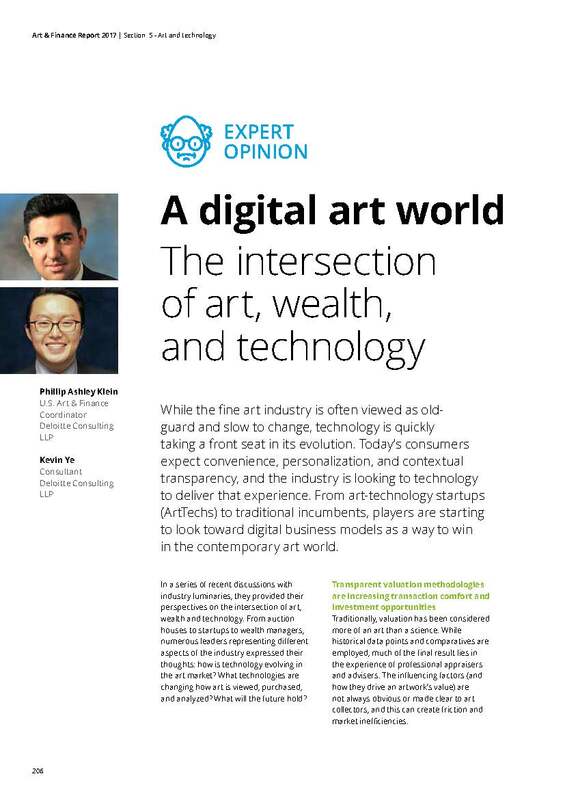 Article from the recently released Deloitte and ArtTactic’s Art and Finance 2017, featuring a quote from CollectorIQ's CEO Christoper E. Vroom, CFA. The Tax Cuts and Jobs Act (H.R. 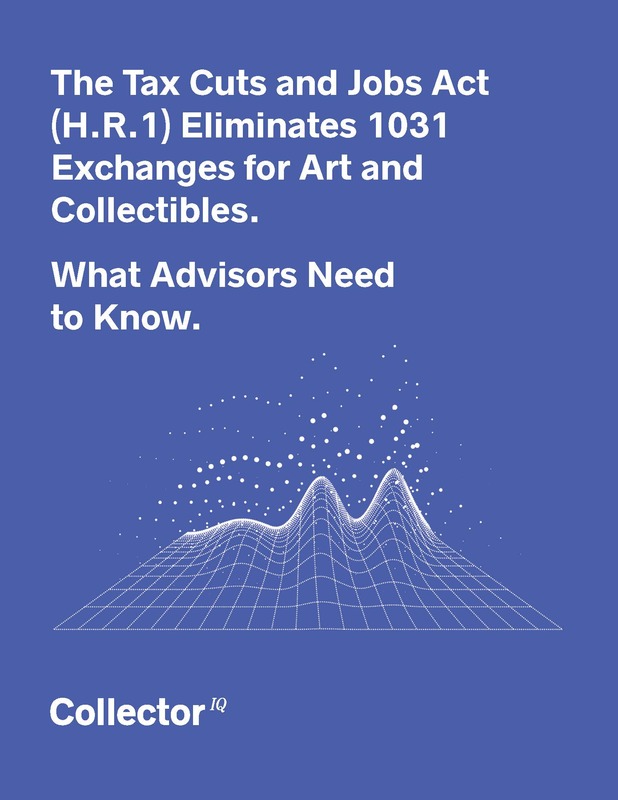 1) Eliminates 1031 Exchanges for Art and Collectibles. What Advisors Need to Know. 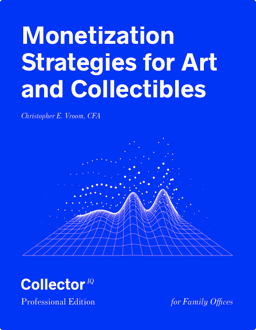 Proposed tax regulations that prohibit the use of a popular tax-deferral strategy for fine art and collectibles could result in accelerating transaction activity through year-end as owners seek to utilize pre-tax dollars to re-invest in higher value items. Stay updated on art market news and CollectorIQ product developments.